Mozilla just released its first official handsets running Firefox OS in Spain, but 7digital has already jumped in and launched its own digital music marketplace for the emerging mobile operating system. The 7digital Music Store is now available worldwide in the Firefox Marketplace, with a fully localized offering in Europe and North America. The service stocks 25 million tracks for users to browse, preview and purchase at anytime. It’s a similar service to iTunes, albeit a cross-platform one, with the focus on buying singles and albums on an individual basis, rather than an all-encompassing monthly subscription. Purchases are then added to the user’s cloud-based 7digital ‘locker’ for subsequent access on almost any device or Web browser; an attractive prospect for record collectors that want to access their library from a desktop PC, tablet or secondary smartphone with minimal fuss. 7digital is already available as a native app for Android, iOS, Windows Phone and BlackBerry, making it one of the most far-reaching cross-platform digital music stores available. It also means that existing 7digital users can log-in with their account credentials and access their library right away when they buy a new Firefox OS handset. On-demand music streaming apps such as Spotify and Rdio have increased in popularity over the years as more consumers switch over to unlimited mobile data plans. The ability to listen to almost any track, at any time is an attractive prospect and one that has put increased pressure on 7digital’s services. 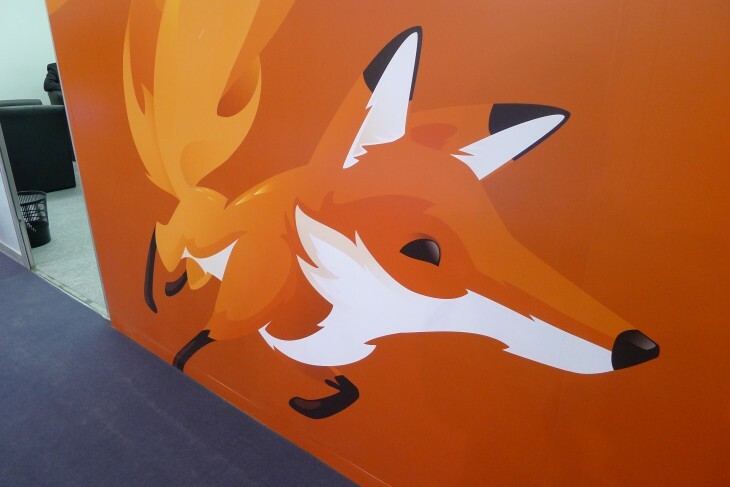 Firefox OS is focused solely on HTML5 applications, however, which means that many of these services will be unavailable when Mozilla’s first devices hit store shelves. 7digital, therefore, has a potentially lucrative head start which should help to grow its userbase in Firefox OS’ initial launch markets. 7digital differs from its competitors because it also has a rather extensive API, which allows other developers and partners to license its platform and music catalogue for their own music sites, apps and services. It means that many consumers will be using a service powered by 7digital completely unawares. The firm currently powers the Music Hub app on the Samsung Galaxy S4, for instance, and also teamed up with Sonos earlier this years to enable music streaming on the firms’s high-end wireless HiFi systems. Founded in 2004, 7digital is headquartered in London and boasts partnerships with Toshiba, HP, Acer, T-Mobile US, Ubuntu, Shazam, Pure, Universal Music, EMI, Warner Music and Sony.